Dubai, United Arab Emirates - September 18, 2018 - At Transform 2.0, Lenovo announced a series of new products, partnerships and solutions designed for business customers that demonstrate the company's ongoing Intelligent Transformation strategy. The strategy reflects Lenovo's unique business perspective on how to build end-to-end solutions with smart features that transform businesses and improve the user experience. The announcements respond to the appetite for new devices and computers that meet the demands of customers and consumers, harnessing the potential of data, cloud computing and machine learning. 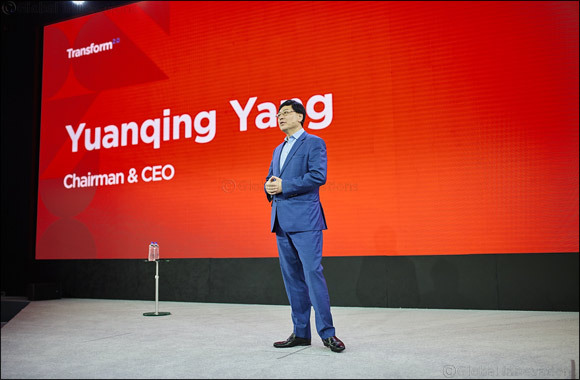 Yang Yuanqing, CEO, Lenovo, says, ‘We share industry leading partnership and product announcements, reinforcing our dedication to realizing the great potential of Intelligent Transformation. From the largest portfolio of devices in the world, leadership in the data center, to the algorithm powered intelligent vertical solutions, and built on strong partnerships Lenovo has built over decades, we have the complete playbook for Intelligent Transformation. Lenovo's business decisions and partnerships help improve society both today and tomorrow, with the goal of empowering its customers and partners to adapt, evolve, and navigate today's economic conditions as they transform their businesses. Lenovo announced a new partnership with NetApp (NASDAQ: NTAP), the data authority for hybrid cloud. The multibillion-dollar global strategic partnership will help customers modernize their IT architectures and accelerate their digital transformation. Leveraging the strengths of both companies, Lenovo and NetApp will develop and bring to market new high-performance and next generation flash storage products and solutions scaling from the edge to the core network to the cloud. The partnership includes a new joint venture in China to deliver localized solutions for the world's fastest growing storage and data market. Read more about the news here. Lenovo announced ThinkShield, a new approach to securing devices throughout their lifecycle. Because companies need more than ever before to protect sensitive data, ThinkShield features a suite of technologies and controls, from BIOS and firmware for authentication and physical/virtual endpoint management to physical camera shutters and fingerprint readers to supply chain management. By working with partners like Intel, MobileIron and Absolute, Lenovo is giving users and administrators more ways to keep data safe and secure. The annual event brings together technology professionals, Lenovo's latest products and insightful panels and presentations from major industry experts and influencers who are shaping the future of Artificial Intelligence and other transformative technologies. Follow updates from the day via StoryHub and Twitter.